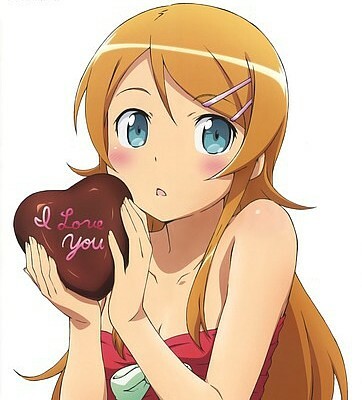 Just wanting to wish everyone a Happy Valentine's Day ^_^ I know some of you might not have a Valentine but cheer up. Maybe there's an anime girl or guy you have a crush on; don't lose that feeling and keep the anime hobby going because one day, you may not be "forever alone" (unless you want to be). Anyways, don't need to make this a negative post, but Sushi Park was where I proposed to Danielle so it's a heartbreak on this a day to give thanks to having a relationship. Still, there are more important things in life but a better place to life for Danielle and my future family is a reality that will have to be dealt with..and what looks to be a fantasy for this Wrong Island we live on. If you are alone on this day; don't sweat it, at least feel comfort that there are others out there just like you and thus you are not alone. For those of us in a relationship, don't let the little things get in the way of what is most important and remember a good relationship is meant to out live many aspects of our lives we might have thought were going to stay (like our favorite sushi restaurant -_-). So always be humble and thankful and never think you've already lived your best days.